Suffering is often as difficult to understand as it is to endure. The burden of sorrow and the weight of suffering are interwoven elements of our reality. Thus, grappling with the gravity of pain in a sin-riddled world is not an optional task. Recognizing the urgency of this reality, in this volume Nancy Guthrie has collected twenty-five readings on the problem of pain. 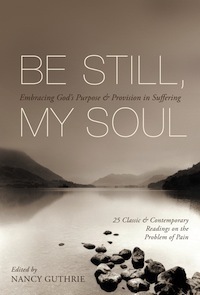 Writing out of her own experiences, Guthrie confesses that suffering “pushes us deeper into the mystery of God. It makes us more desperate for him, to hear from him and sense his presence” (10). Her preface is indicative of the type of thoughtful reflection found in the selections throughout the volume. Accordingly, her goal for this compilation of readings is that they would “shape your thinking, steel your resolve, and still your soul” (11). There are three distinct features of the volume that serve this end. First, the structure of the book provides a helpful framework by which a believer might understand his or her adversity. The chapters are divided into three main parts: God’s perspective on suffering, God’s purpose in suffering, and God’s provision in suffering. The chapters under each of these headings function as variations on these themes. This rubric can enable a suffering believer to trust in God while not fully understanding every aspect of seemingly meaningless hardship. Meditating on these three themes could serve as a lifeline for someone before, during, and after those types of situations that seem to shake even the strongest theological foundations. Second, each chapter begins with a biblical text that relates to suffering. Some contributors reflect directly on that passage, and others use the verse as a complement to a broader theme. These passages provide readers with some of the most appropriate places in the Bible for understanding suffering. This feature will be particularly helpful for a reader using the book in a daily-devotional format. Third, the content of the chapters themselves is consistent and encouraging. To highlight a sampling of the essays, Tim Keller shows how suffering can be “the servant of our joy.” Joni Eareckson Tada views her hardship as “God’s plan A.” Dietrich Bonhoeffer reflects on what it means to “bear” suffering. Missionary Helen Roseveare talks about “when cost becomes privilege.” D. A. Carson encourages believers to think about how to “die well.” John Piper speaks of the power that comes in weakness, and Jonathan Edwards ends the volume with a word on the “refuge and rest” found only in Christ. While there is diversity among these contributors (e.g., classic/contemporary, pastors/scholars, men/women), Guthrie does a fine job of keying the selections and excerpts to the themes of the three sections. Most of the chapters also function well as stand-alone units. 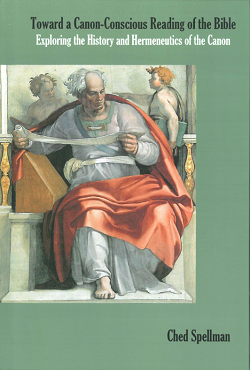 An additional benefit of this volume is that readers will be exposed to a strong view of God’s providence. This recognition of God’s absolute authority over all things functions as an inner nerve that binds the various themes and perspectives of the contributors. Indeed, the reflections here are generated by the conviction that God is both good and sovereign. This conviction is necessary for one to speak of God’s purpose as well as God’s provision in suffering. One feature I would like to have seen is more exact citations. The acknowledgements for the readings are located at the end of each chapter followed by a brief biographical note. These are helpful, especially for some of the less well-known figures. However, no page numbers are provided, so readers will have to do some digging if they want to pursue the thinking of the chapter in the original work. Also, it is unclear how much abridgement and modernization has occurred for some of the selections during the editorial process. In these short readings, Guthrie has given believers an occasion for self-reflection. Here you will find no easy answers or superficial articulations of the questions. The contributors acknowledge the evil of suffering and maintain a proper tone of solemnity when addressing these issues. These chapters are best read slowly and alongside introspective reflection, not because of the difficulty of their content but the gravity of their subject.